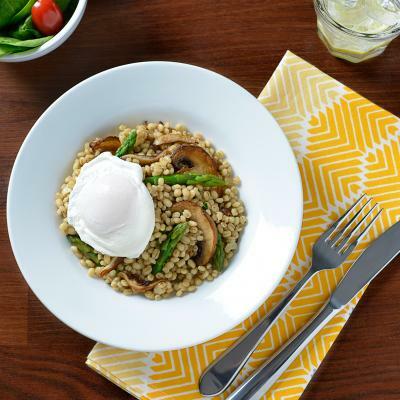 Freekeh is a roasted green wheat with a mild smoky flavour and satisfying chewy texture. 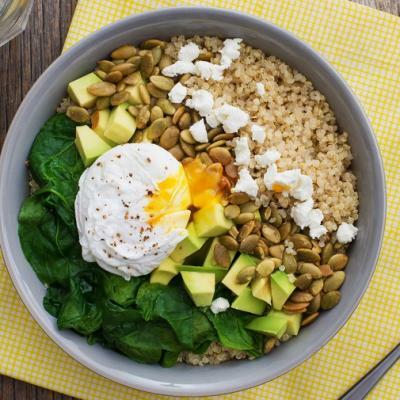 It’s a high-fibre whole-grain option that makes a healthy base for any power bowl. In food processor, pulse parsley, dill, walnuts, lemon zest, lemon juice, garlic, salt and pepper until combined. With motor running, slowly pour in olive oil until almost smooth. Cook freekeh according to package directions. Meanwhile, fill sauce-pan with enough water to come 3 inches (8 cm) up side; heat to gentle simmer. 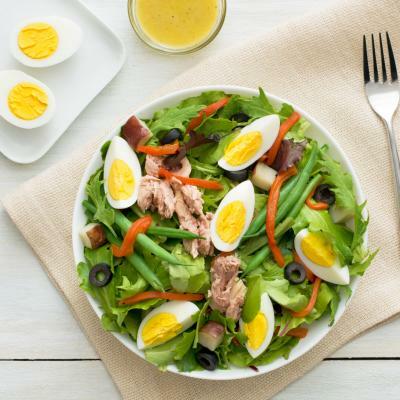 Break one cold egg into small dish or saucer; holding dish just above simmering water, gently slip egg into water. Repeat for remaining eggs. Cook in barely simmering water until white is set and yolk is cooked as desired, approximately 3 to 5 minutes. Remove eggs with slotted spoon. Drain well on paper towel. 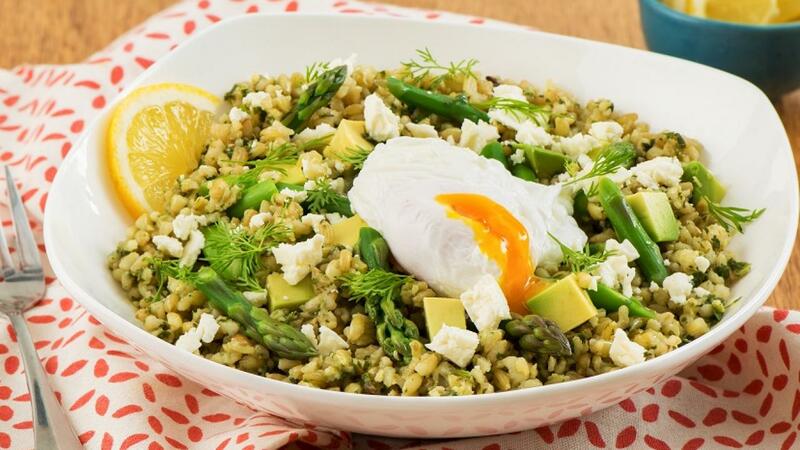 Toss freekeh with half of the pesto. Divide evenly among 4 bowls. Top with asparagus, avocado and crumbled feta; drizzle with a little more pesto. Top with poached egg. Dill pesto is also a nice addition to scrambled eggs or egg salad. Substitute quinoa, barley or brown rice for freekeh if desired. To help egg whites coagulate, add 2 tsp (10 mL) vinegar to poaching water.